$75 Consultation/Examination, X-Ray (If Necessary) & First Chiropractic Adjustment. Call us at (417) 581-1300 today. You've arrived at www.vegachiropractic.com, virtual home of chiropractor Dr. Michael Vega.At Vega Chiropractic, we are dedicated to restoring you to your ideal health. Vega Chiropractic combines the finest quality skill and expertise with personalized care and commitment to bring you complete non-invasive health care the chiropractic way. If you are experiencing pain or discomfort, wait no longer. Call (417) 581-1300 to speak to one of our friendly staff members or email us to make your appointment today. 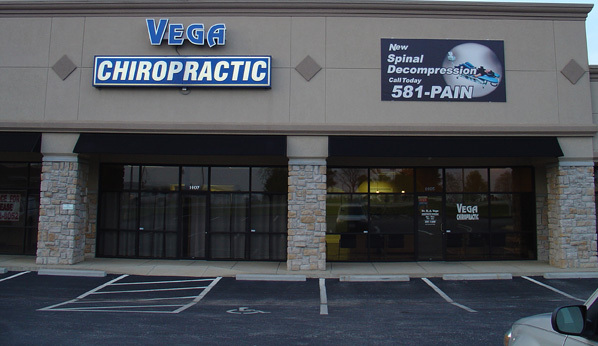 The offices of Vega Chiropractic are located in Ozark, Missouri. Vega Chiropractic is conveniently located in the heart of the Ozarks and is easily accessible from highway 65. While you are here, please browse our pages. We have filled www.vegachiropractic.com with valuable information for your overall wellness. Michael A. Vega received his Bachelor of Science in Human Biology and his Doctorate in Chiropractic from Logan College of Chiropractic in St. Louis. Dr. Vega's office is near the corner of Highway 65 and CC, just behind James River Assembly of God. His goal is to deliver the highest level of quality chiropractic care to his patients and their families in the greater Springfield area and Christian County. "Dr. Vega is the BEST chiropractor. He always makes you feel welcome and relaxed. He has helped me and my husband overcome our back and neck pain. I enjoy my visits and always leave feeling wonderful. I recommend him to everyone I know!!" "I have been going to Dr. Vega for years. He originally helped me through a major neck injury that other doctors, including orthopedist, could not seem to fix. He keeps me being able to exercise and do the things I love, which is more and more valuable as I am getting older. He always seems to intuitively know where the problem is and how to fix it. Worth the drive to Ozark!" 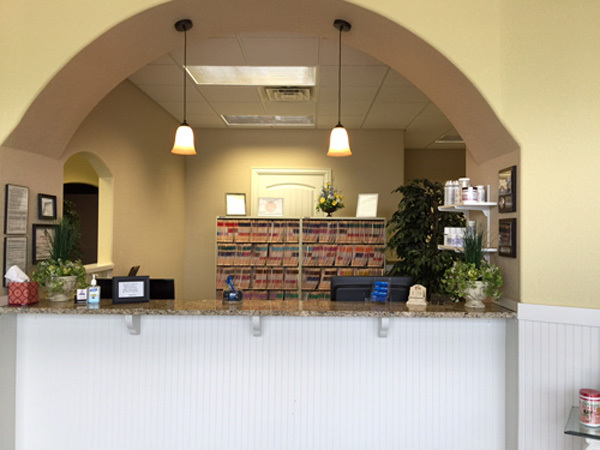 "Dr. Vega and his team are very nice, friendly and professional. My appointments have always been on time. At my first visit, I liked seeing my digital radiograph (x-ray) as part of the treatment planning process. I do not feel like they try to 'upsell' you and are genuinely only offering you what you need."